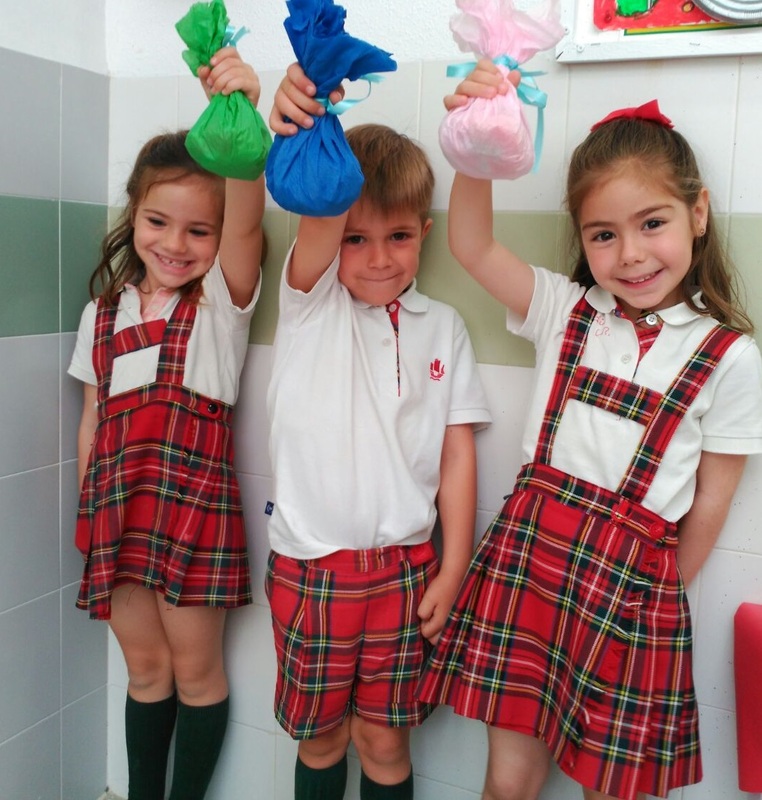 Today all of the extracurricular classes that we have been running throughout the year invited the parents to come and see what we have been learning. One of these classes is English Playhouse, where we sing, play, dance and learn in English. We have had a really fun year and learnt so so much. 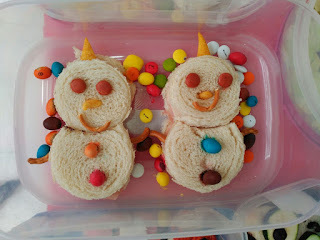 Thank you to all the mummies and daddies, grandmas and grandpas for coming to see us today. We loved showing you everything we know. Here we have made a short video of some of the things that the children from Playhouse have been working on. 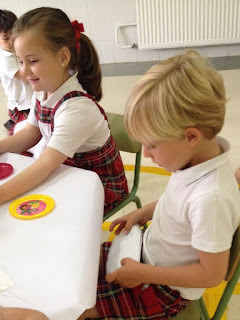 CAN YOU PLAY AND LEARN LIKE WE DO? 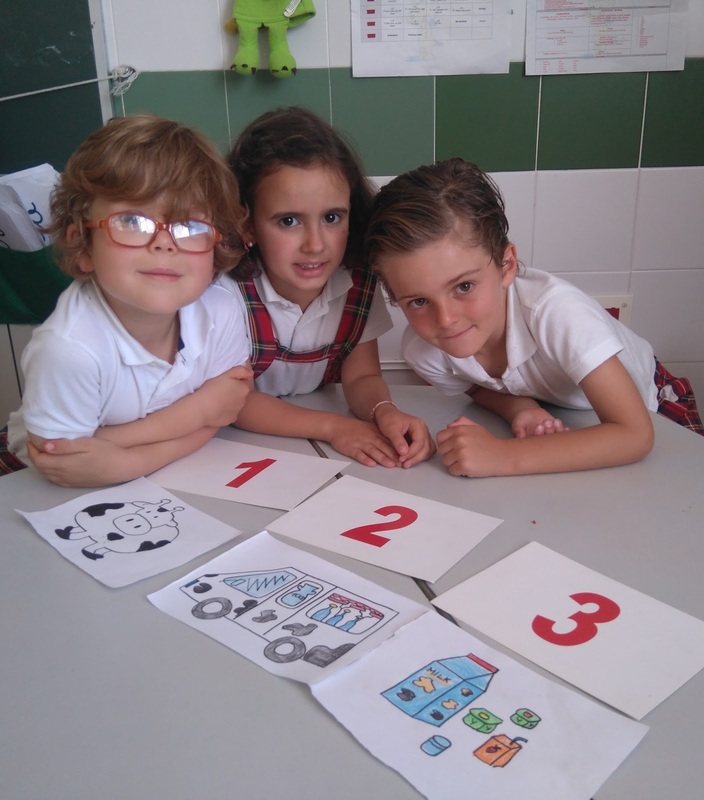 Today we wanted to show you how we play with flashcards in the classroom. 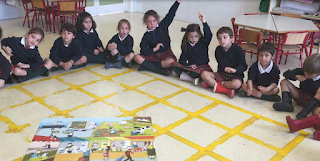 Aside from having fun, this special game also helps us practise our listening skills in English alongside learning new vocabulary from the unit. The children have also learnt how to make up short phrases about each of the vocabulary items from the unit. As part of this months unit about food, Year 3 have been learning about where food comes from. Today we looked at an activity in which we had to organise what came first and think about the provenance of our food. 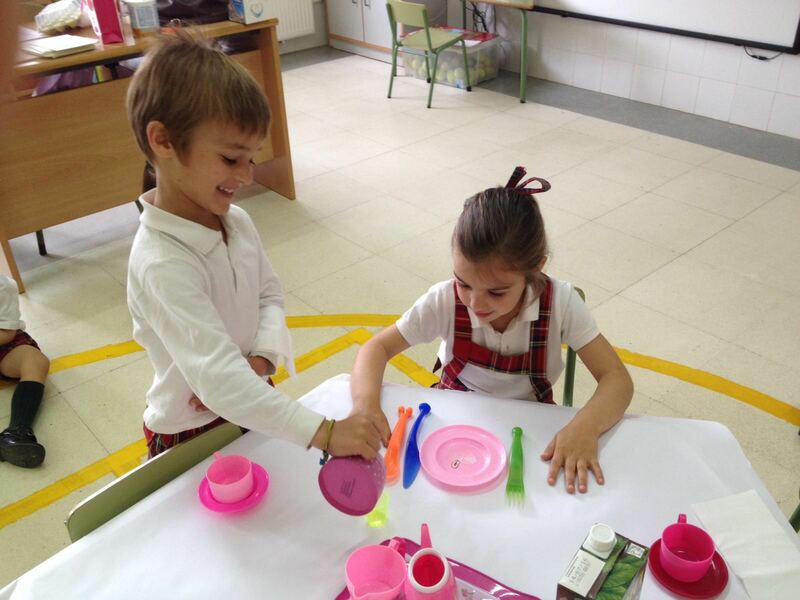 One of the things we have been learning recently in English Playhouse is how to describe the location of objects. 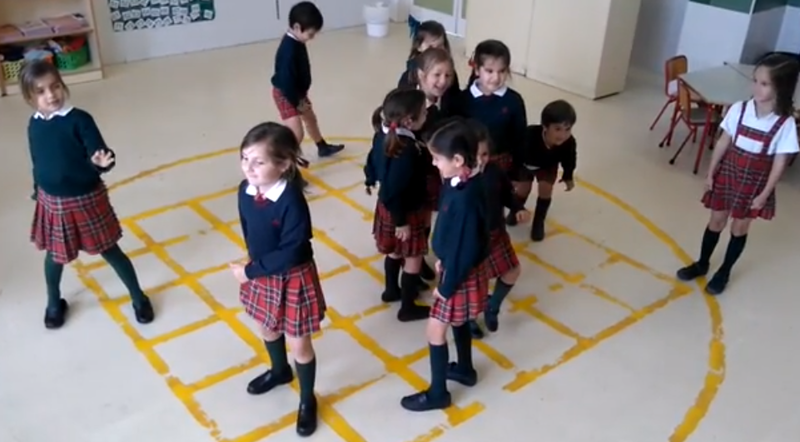 The children have had great fun dancing into new places and then telling the teacher where they are. 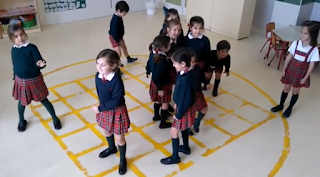 We recorded a video to show you just how clever they are. 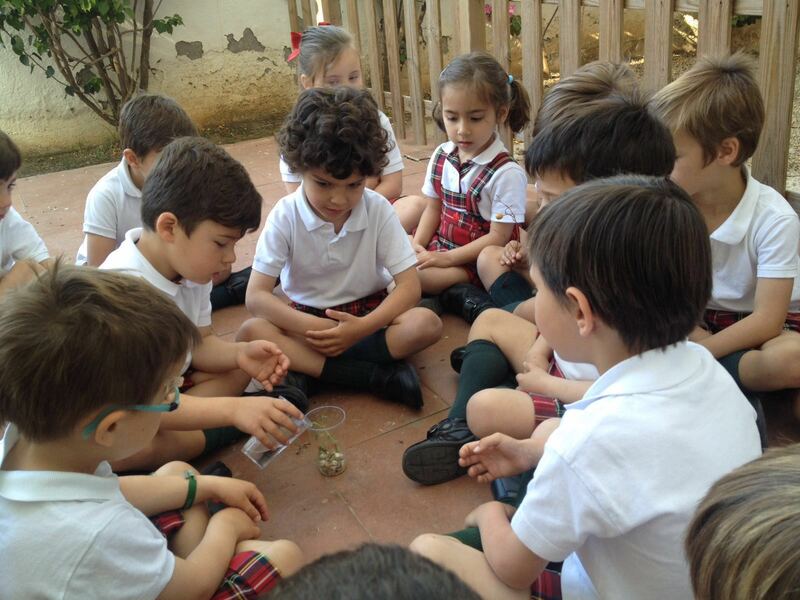 This afternoon YEAR 3 went outside and had a picnic in the school garden. We had a wonderful afternoon sharing food and drinks, and practising our English with our teachers outside of the classroom. 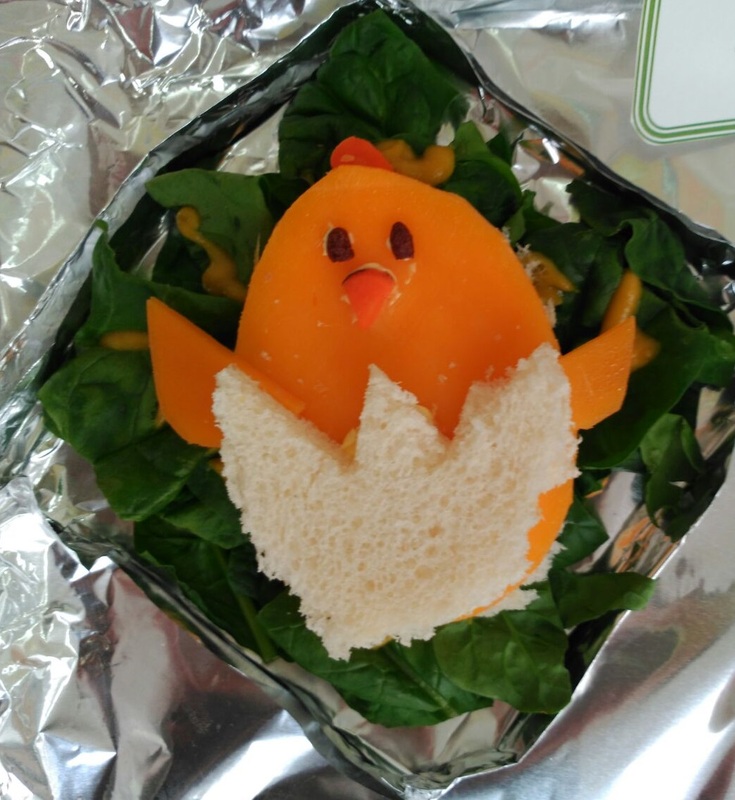 Thank you so much to all the mummies and daddies who have sent food to school to help us make our own supermarket. As you can see it looks great and we have had so much fun playing with it. We have even pretended to be shop assistants and customers in an English supermarket. 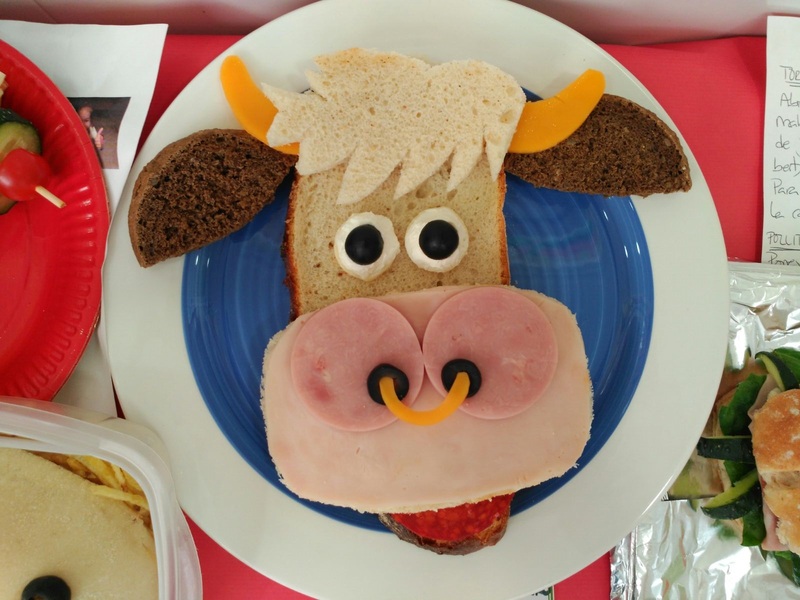 First we would like to say thank you to all the children who took part in the sandwich contest. 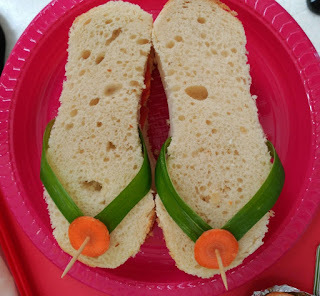 There were some truly amazing sandwiches, as you can see in the pictures below. 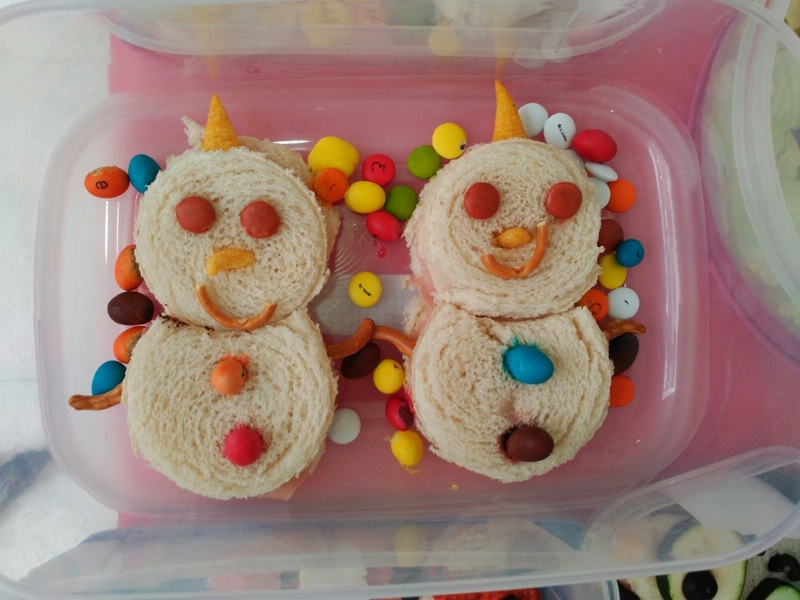 We would also like to say thank you to the mummies and daddies who helped out at home. 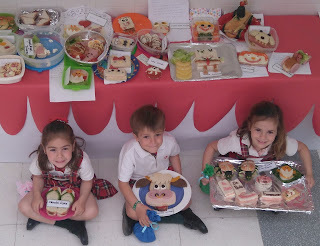 In keeping with this month´s unit about food, the English Department has prepared “A Picnic” for children in YEAR 3. It will take place on Friday, 20th of May in our garden at 3.30 PM. It will be fun!!! Please only bring small quantities (enough for one child). 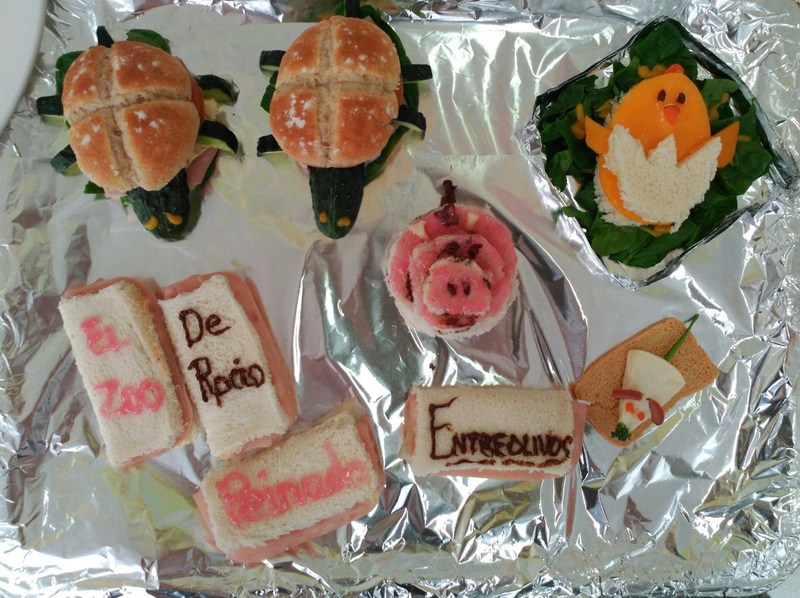 In keeping with this month´s unit about food, the English Department has prepared “The Sandwich Contest”. We would like you to participate with us. It will be fun! If you don´t have any ideas, why not search “creative sandwich ideas” in google images. 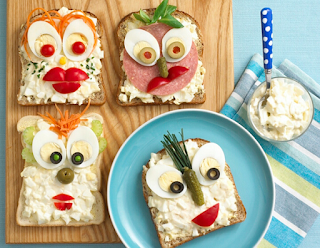 It will help you to find different recipes to make your own sandwiches. Please, do not forget to bring the recipe with your sandwiches on the 16th and 17th of May. WHO DO WE GET OUR FOOD FROM? One of the resources that we have developed to help the children learn vocabulary, questions and how to make sentences, is the poster. 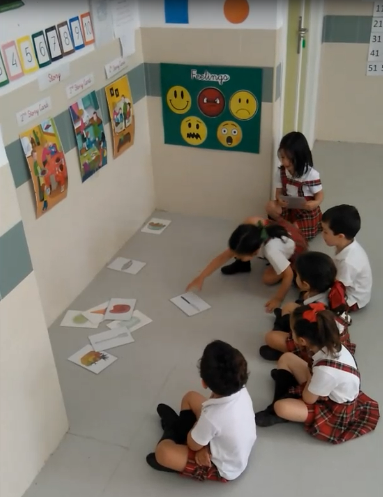 They can describe what they see and refer back to knowledge from previous units, as you can see in this fun video from Year 3. With each new unit comes a new story, and as this month we are learning about food, what better British children´s story than Goldilocks and the three bears? As we study the story our teachers use lots of different activities to check our understanding, everything from questions to reordering the story cards. This month, as part of our co-operative learning programme we made our own story cards in small teams. Next week at school we want to make a supermarket in our classroom, but we need your help. Each of us needs to bring a food product to school. Today we have taken home a letter in our school bag, so please have a look to see what it is that we have to bring. 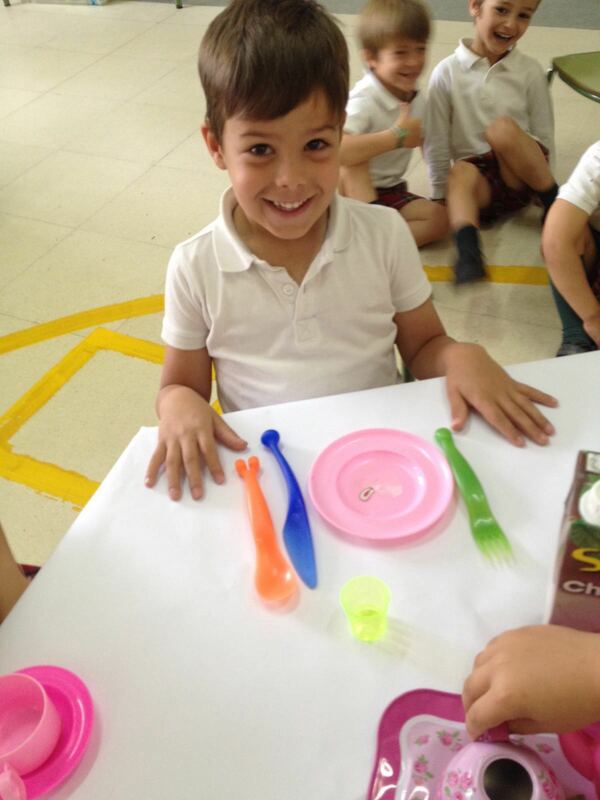 Our new unit is about food and meal times so we have been learning how to set the table and appropriate table manners. Yesterday in class we made our own afternoon tea and shared some tea, cake and sandwiches. 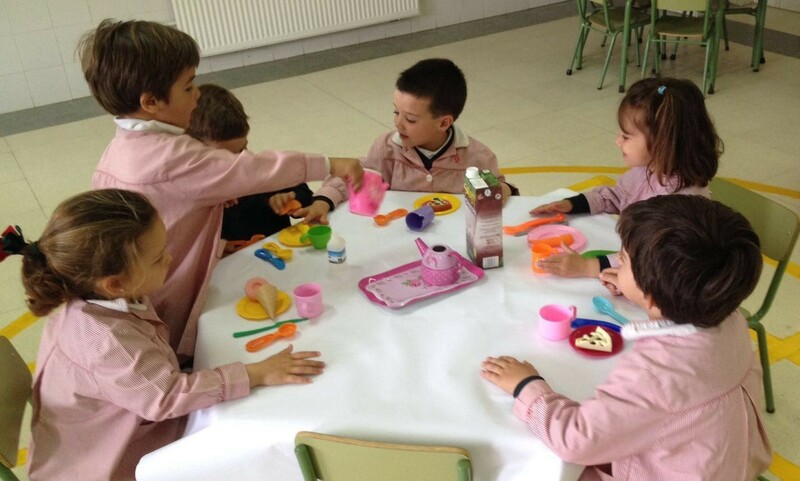 Look how well we can set the table with knives, forks, spoons and cups. a knife and a spoon. After a long weekend away we have come back to school and we have found that the flowers that we had planted have grown a lot. Today we watered them in the garden. 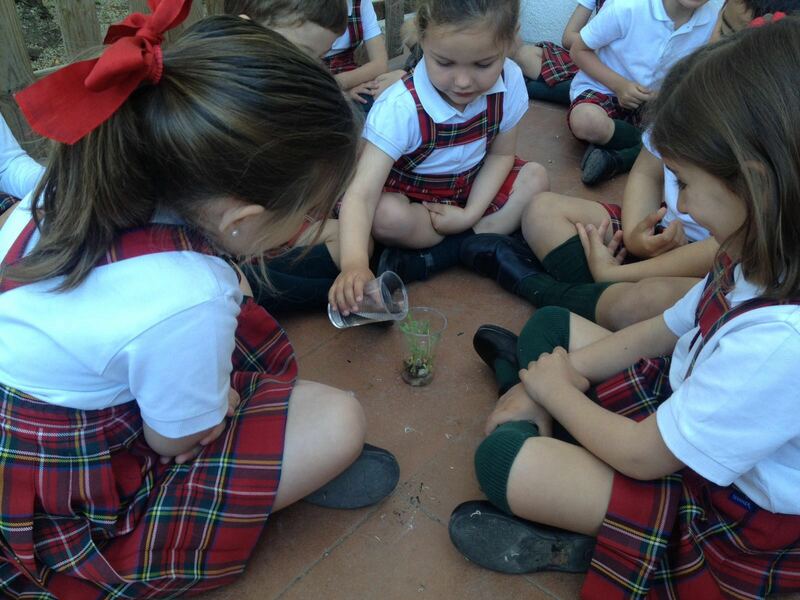 Look how much they have grown since we planted them!